So, you’ve trained as a Facebook ads manager. Now what? How can you compete with people selling a similar offering and convert your skills into a reliable supply of cash? There’s been a trend recently for social media managers to train in Facebook ads. And it makes sense – adding Facebook ads is a useful addition to your repertoire of skills. But how can you ensure that you’re ready to properly monetise your skills as a Facebook ads manager? It’s simple. You need to get back to business basics; to understand the fundamentals of monetising your skills – and hooking in the clients who want and will pay for Facebook ads management. Here are seven steps that will help you. Okay, so you may assume that your new niche IS Facebook ads management. And while it’s a valuable skill to offer clients, it doesn’t help you to stand out amongst other Facebook ads managers. Instead, you need to niche further in your skills and experience. The successful consultants and small business owners we have come across have cleverly narrowed their offering or client base, and raised their prices and elevated their expertise as a result. Once you have your niche, you need to come up with an easy way for clients to buy your services. Simply offering your skills on a per hour basis doesn’t give a small business any certainty of cost. Most small businesses prefer to buy services in packages. This way they can clearly see what they’re getting, and budget for the monthly cost. If they need more from you some months, they can always book a bigger package, or buy extra hours from you. Once you have a niche and packages, you need to price. Pricing is always a tricky area when you’re first setting out in a new business. Like the three bears in Goldilocks, you need to find that ‘just right price’. This is neither so big that you’re unable to offer a valuable return on investment to your clients, or so small that you actually put off good clients because they assume you’re not as good as other Facebook ads managers. Once you’re in talks with a potential client, you need to present yourself professionally. This means not just conducting yourself in a way that conveys ‘I’m experienced in this; you can trust your ads with me’, but ensuring that every communication you send looks like it’s come from a serious business. One you want to work with. This can include having proper branding (even if it’s a logo you’ve designed yourself for free), and an impressive website and social media presence. You also need to make sure you have properly written and presented proposal documents. And what about you? You don’t just need impressive proposal documents, you need to convey the best possible impression in the flesh or over the phone. So make sure you know how to structure a sales call or meeting. Be wary of how much you give away for free too. You need a clear timeline for your pitching process that defines where you stop meeting and giving information for free, and start moving clients onto paid work. Without this plan you could risk giving your client so many ideas that they can attempt to implement your plan without you (or hire someone cheaper to do it). You also risk wasting too much free time on a client who is never going to hire you – and missing out on another who would. 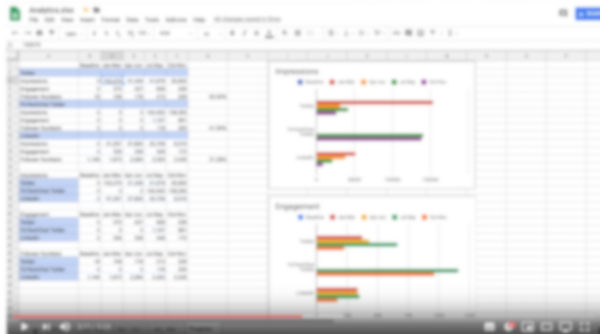 If you really want to impress a client (and possibly even compete with small agencies for clients with a bigger budget for Facebook ads managers), then it’s good to know how to put together professional reports and presentations. And finally, winning a client is far from the end of your marketing process as a Facebook ads manager. Once a client has signed up with you, you need a retention strategy that keeps them happy with you – and remaining on board. It’s far cheaper and easier to keep or upsell to an existing client than it is to go out and find a new one, so don’t rest on your laurels. 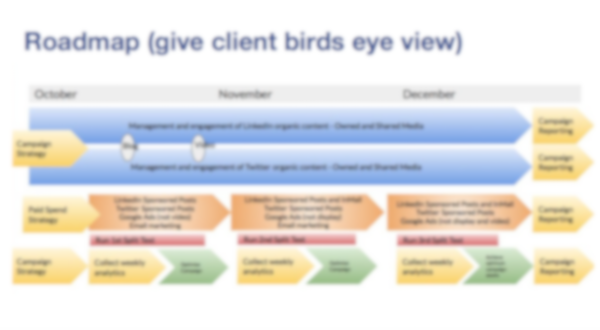 If you don’t already have a Customer Love Plan for your clients, now is the time to create one. 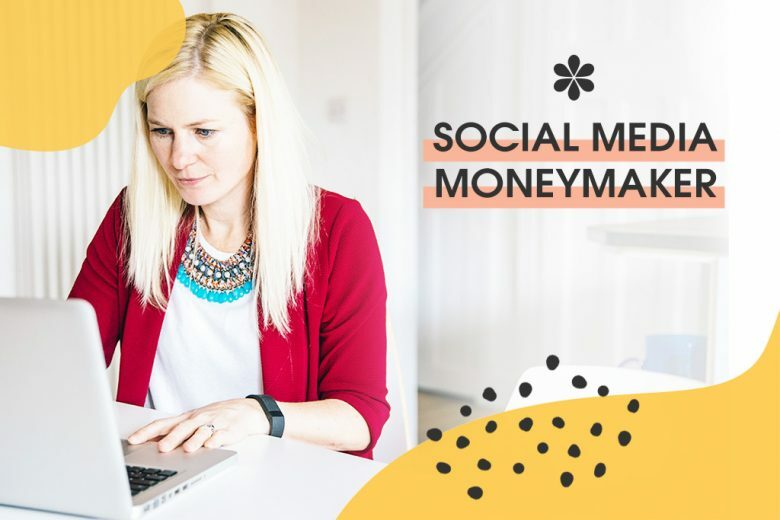 You’ll find everything you need to master these seven steps, including lessons and templates to help you recreate the reports, inside Social Media Moneymaker. From finding your niche and setting your prices, to stealing our presentation and pitch timelines and templates, we give you all the tools you need to turn your new Facebook ad management skills into a business that works around your family – and earns you a living.